Совместимость: Требуется iOS 10.3 или выше. Haven’t you had enough of unhealthy takeaway and all you want is to enjoy authentic home-cooked food from a multitude of cuisines? Don’t worry, you have found the right app! 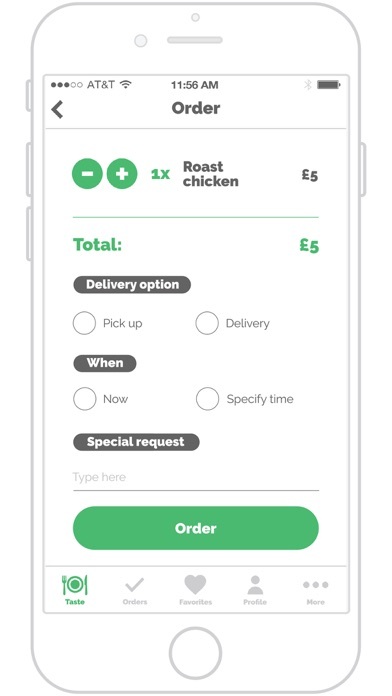 With HomeCooked UK, you are just a few taps away from ordering authentic homemade meals from professional or hobbyist cooks cooking in your neighbourhood! 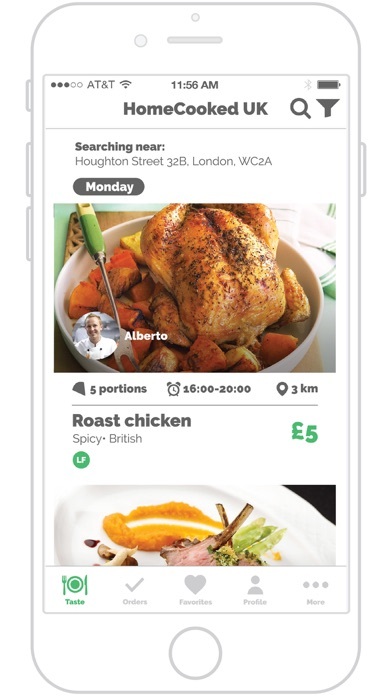 Overview HomeCooked UK is a mobile app that enables working individuals, students and families to buy fresh home-cooked food prepared by professional and/or hobbyist cooks in their neighbourhood, while it also allows those who are passionate about cooking to sell their authentic homemade dishes to hungry customers nearby. Are you tired of unhealthy takeaway? Join our growing community of satisfied customers by downloading the app. 1. Browse through the ever changing daily menu of freshly prepared homemade food in your neighbourhood. 2. Place your order. 3. Track your order. 4. Have your delicious home-cooked meal delivered to your doorstep! 5. Enjoy your food!! 6. Rate your chef. Are you passionate about cooking? Join the movement by downloading the app. 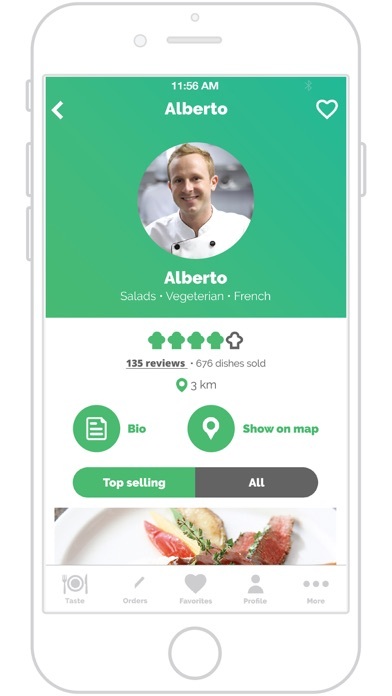 Our app gives you the opportunity to cook your own unique recipes from your private kitchen and sell your dishes to hungry customers nearby. 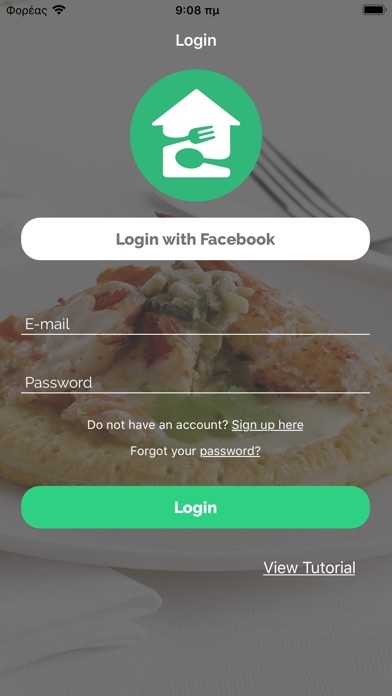 Our app provides you with full flexibility as you can: - Cook whatever you wish - Cook whenever you want - Set your own prices and number of portions available Vision Our vision is to bring high quality home-cooked food to everyone who enjoys a fresh and healthy meal but has no time or skill to prepare one for themselves. Going back to the basics At HomeCooked UK we realise that every cuisine, every dish and every chef has a story to tell. That's exactly why we are going back to the basics and reviving the art of home-cooking.